Tinnitus is always both a medical and a psycho­logical phenomenon. A medical condition might be responsible for the emergence of tinnitus, but psychological factors play an important role in individual processing of inner noises. 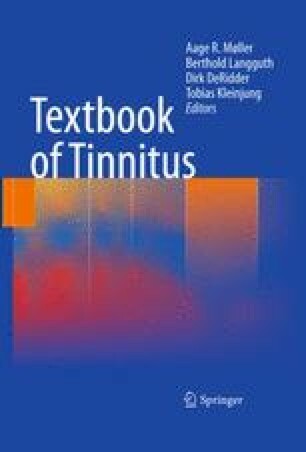 Characteristics of tinnitus-like loudness do not determine the tinnitus-related distress. The primary goal of psychological interventions is to promote habituation and to improve the patient’s ability to reduce the impact of tinnitus on the quality of life. Psychological interventions should be an integral part of tinnitus management and not be made dependent on existence of a mental disorder. Early referrals to a psychologist are desirable to conduct a thorough assessment of tinnitus-related complaints and to undertake a comprehensive functional analysis of the problem.